Now that we’re well-established in the Hutt Valley, Kaibosh is looking for more volunteers to help with food rescue and food sorting. We talked to our volunteers Louise and Noel Lee to find out why they joined the team. Louise and Noel joined Kaibosh at the start of 2016, and have been doing a fortnightly food sorting shift ever since. Having heard about Kaibosh when it opened in Wellington City in 2008, Louise knew she wanted to get involved, and the time was right when we opened in Lower Hutt. The Lees were drawn to food rescue because it stops food waste while also helping the local community. 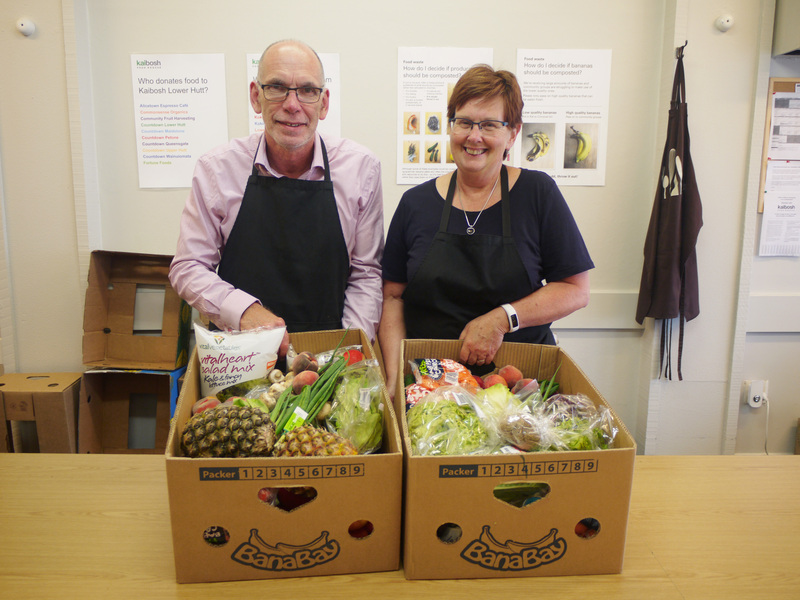 By rescuing fresh, healthy food from Hutt businesses and giving it free of charge to more than 22 community groups, Kaibosh makes sure that local services are well-stocked to support people in need. For Noel, seeing the amount of quality food that would otherwise be thrown away has been an eye-opener, and knowing that it will go to people who need it is a good feeling. With more than 21,000 meals worth of food being provided by Kaibosh Lower Hutt each month, it’s easy to see the need for our work. Volunteers are at the heart of Kaibosh, and we’re always looking for new people to join our team. You can find out more about the roles we offer here.